Welcome to the 525th Edition of my series. It's been a pretty crazy week and actually did not finish my list until today. It was all worth it with the opening of the musical version of MIRACLE ON 34TH STREET at the Muncie Civic Theater. For those in or near the Muncie area, we still have shows on December 11th, 12th, 13th, 17th, 18th, and the 19th for if you either haven't seen it or just want to see it again. Shows are at 7:30 pm except the Sunday show which is at 2 pm and tickets are $16 for adults and $11 for students and children. That's been my week so I'll be getting on with my recommendations. 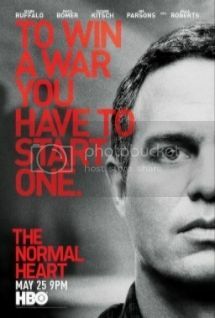 The Normal Heart (2014): This is part three of a possible five part Corey Stoll series. Ryan Murphy directed this HBO movie based on the play by Larry Kramer. This takes place during the onset of AIDs in the early 80s and trying to learn the truth. Mark Ruffalo stars as gay activist Ned Weeks and leads a group of people to learn what is causing this disease which many believe it is a disease effecting gays. Julia Roberts co-stars as Dr. Emma Brookner who is the first to see a lot of cases trying to make sense of what is happening. Jonathan Groff, Frank De Julio, William DeMeritt, Taylor Kitsch, Joe Montello, Sean Meehan, Stephen Spinella, B.D. Wong, Jim Parsons, Adam Shapiro, Matt Bomer, Alfred Molina, and many others co-star his this HBO movie. This is a good look on this very concerning time when people were dying left and right and no one knew what had happened. Ruffalo was good as the activist who caused controversy even among the gay community with the way he went about expressing what he believed. This is set to be a play in April at the Muncie Civic Studio Theater. This is available to watch on HBO On-Demand. It would be a good double feature to start with this one, then follow up with THE DALLAS BUYERS CLUB. This Boy's Life (1993): This is part three of my three part Carla Gugino series. Michael Caton-Jones directed this film based on the autobiography of Tobias Wolff, played by Leonardo DiCaprio. This movie takes place in the 50s where Toby and his mother Caroline, played by Ellen Barkin, get away from her abusive boyfriend. They flee to Seattle where Caroline meets a local mechanic named Dwight, played by Robert De Niro, and gets married to him. Dwight slowly shows his abusive and alcoholic side where Toby looks to get out in any way possible. Gugino, Jonah Blechman, Eliza Dushku, Chris Cooper, Kathy Kinney, Tobey McGuire, and many others co-star in this film. De Niro is really good in his role of someone seemingly normal but very disturbed. 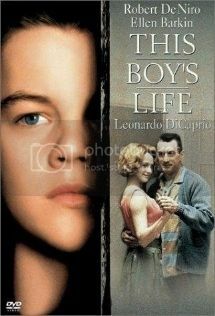 The young DiCaprio also holds his own with De Niro and they work very well together. It is also good to see a very young Eliza Dushku before she became a vampire slayer as well as a younger Tobey McGuire. This was a pretty intense but very compelling flim with some good performances. 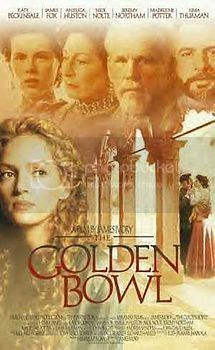 The Golden Bowl (2000): This is part two of a James Fox series. James Ivory directed this period piece which is based on the novel by Henry James. Kate Beckinsale stars as Maggie who is the daughter to London billionaire Adam Verver, played by Nick Nolte. She meets Prince Amerigo, played by Jeremy Northam, not knowing that he knows her best friend Charlotte, played by Uma Thurman. Charlotte and Adam fall in love with each other but both must deal with old flames. Anjelica Huston and Nicholas Day co-star in this film. This is not for everyone but I found it to be an interesting look at human nature even in this era. It had some good performances and a pretty good and subtle love story. 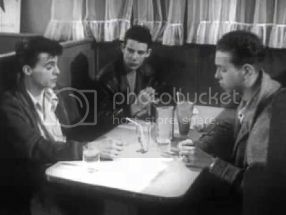 Why Vandalism (1955): This is my short film that I recorded from Underground Shorts on TCM. This is one of those videos intended to be educational but is now more entertaining. This takes a look at a couple kids who are juvenile delinquents and trying to understand what makes this happen. It cites things like boredom and not enough love at home. It is also automatically the fault of parents. This is produced by Encyclopedia Britannica. Boring narration and bad acting make this so bad that it's good. 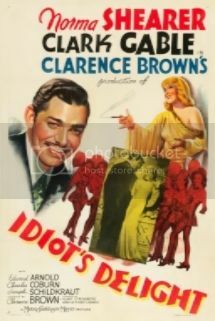 Idiot's Delight (1939): This is part two of a two-part Clark Gable series and possibly part one of a Burgess Meredith series. I suppose this could be a supplement to Gable's biggest film of the same year GONE WITH THE WIND which was the golden age of film. Gable stars as song and dance man Harry Van and yes he does dance who is just getting back from WWI and even has a version of PUTTIN' ON THE RITZ. On a Vaudeville tour, he meets acrobat Irene, played by Norma Shearer, and has a brief affair with her. Twenty years later, Harry is on tour in Europe with a troupe of dancers and his train stops at the Swiss border making him stranded in the Alps in anticipation of WWII hostilities. He also meets a Russian aristocrat who looks quite a bit like Irene. Edward Arnold, Burgess Meredith, Charles Coburn, Joseph Schildkraut, and many others co-star in this film. This is the only time Gable performs a song and dance number which was not bad. 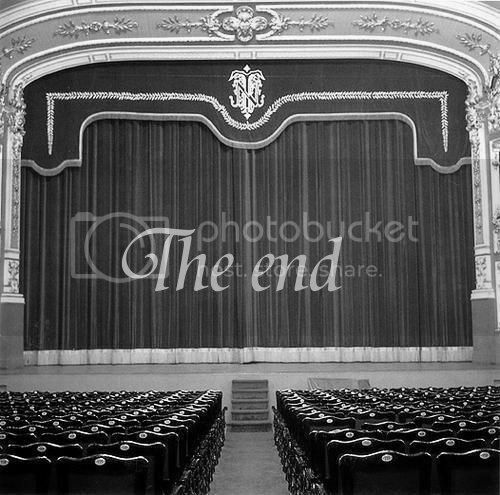 The movie really had a little bit of everything with comedy, drama, and a musical with some pretty serious undertones. It was pretty entertaining with a pretty good group of characters and an interesting ending. 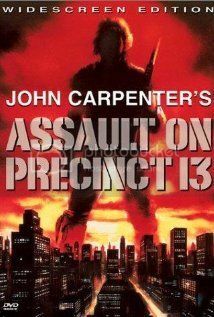 Assault on Precinct 13 (1976): John Carpenter directed this action film and ranks up as one of my favorites in that genre. Precinct 13 is mostly abandoned and is due to be closed. They hold a few criminals there for transit and the staff must fight off a very ruthless gang. A few people in the police force and a death row inmate all try to do the impossible. This was a low-budget film that works to no end. It also has some very good and brutal action scenes. John Carpenter wrote his own music score and it is a simple yet very effective score that he wrote. The performances from fairly unknown actors like Austin Stoker, Darwin Joston, Tony Burton, and Charles Cyphers were very good. This in an unsung classic and deserves a watch for those who like a good action film. A Shine of Rainbows (2009): This is my more family oriented selection for the week. 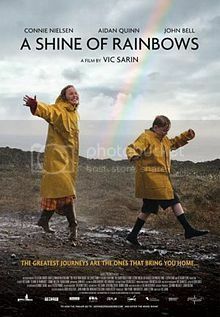 John Bell stars as Tomas who is an orphan but is adopted by a couple named Maire and Alec, played by Connie Nielson and Aidan Quinn, to live off the coast of Ireland. Tomas and Maire form an immediate bond where she tries to help him through grief by doing things like showing how to communicate with seals and to local folklore. Alec is more reluctant to accept him with is timidity and halting speech. GAME OF THRONES alum Jack Gleeson, Niamh Shaw, Ian McElhinney, and many others co-star in this film. This was a nice and unexpected gem I came across. I became very touched by this really moving story and some really good scenery. The leads do a great job and is really worth a look. 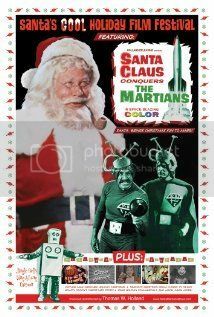 Santa Claus Conquers the Martians (1964): This is my holiday selection for the B-movie enthusiasts out there. On Mars, the children there are obsessed with Earth tv and their parents come across Santa Claus deciding they need him in Mars so they abduct him and a couple of children to go to Mars. Most of them are well-meaning but go about it in the wrong way except for Voldar who is all about war and does not want Santa putting positive thoughts into the heads of the children. This has been featured in both MYSTERY SCIENCE THEATER 3000 and RIFFTRAX. This has some really bad looking martian outfits and dialogue but I believe a very underrated robot in Torg who just has lived on as much as robots like Robby. This is available on Amazon Prime with and without MST3K. 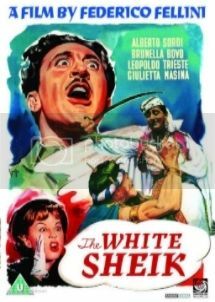 The White Sheik (1952): This is my Italian film for the week from Federico Fellini who directed and co-wrote with Michelangelo Antonioni. Brunella Bovo and Leopoldo Trieste star as newlywed couple Wanda and Ivan. 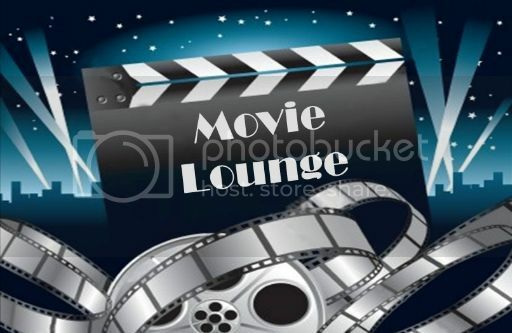 They become separated from each other when Wanda meets her photo strip hero of the title character, played by Alberto Sordi, who is Rudolph Valentino like hero. Ivan tries to hide his wife's disappearance from his family while both must consider what they want in life. This is a little more unknown Fellini and has much of his usual techniques dealing a lot with imagery. This is not really for everyone but foreign film buffs will really like this and Fellini fans will appreciate this earlier work. Matador (1986): This is part three of my three part Antonio Banderas series in a much earlier role for him in a Spanish film. 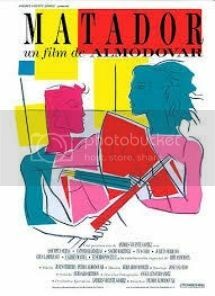 Pedro Almodovar directed and co-wrote this film which has an NC-17 rating. Nacho Martinez stars as ex-bullfighter Diego who is turned on by killing. Assumpta Serna co-stars as Maria who is an attorney with the same fetish. Banderas stars as Angel who wants to learn bullfighting and has been brought up by a strict religious upbringing and gets caught up with the ways of the main characters. This is a really good black comedy taking a look at human nature as well as a really good early performance from a young Banderas. Almodovar and Banderas would reunite for the 2011 film THE SKIN I LIVE IN so if these are your kinds of film, this would be a really good double feature. Well, that is it for this week. Tell me what you like and dislike. Stay tuned for next week which so far includes Chloe Sevigny and many others.